Frank Hornby created the first Meccano set in 1898. The nuts, bolts, and basic construction sets allowed children all over England to explore basic principles in mechanical engineering. Fifteen years later, Alfred Carlton Gilbert created the first Erector Set in the United States. Inspired by the setup of girders in electrical railroad line plans, he created a set that equipped children to create their own miniature cities. Today, Meccano and Erector have combined powers to build and design under the same flagship company, Spin Master Ltd. Family. Together, they are creating sets for a new generation of young inventors to explore the wonders of STEM toys. The winner of multiple awards, these toys are perfect for curious young minds that are looking for something a little more flashy and challenging than standard building sets. Meccano has collaborated with multiple universities and schools to ensure that its toys are in line with their STEM incentives. Featuring metal and plastic components with motors and specialized mechanized functions, Meccano sets are laying the foundation for success for our future engineers and inventors. Here, you’ll find 10 of the most well-rated and user-friendly toys in the Meccano line. It’s their mission “to give today’s young minds the tools to become tomorrow’s innovators.” We think they’ll be well-equipped! Meccano sets have been exciting the imaginations of children for more than a century! We have recently updated this buying guide to include a couple of new sets and have reviewed all existing product information to ensure that all products are still available and that their features and costs are up to date. There are so many ways for your child to be inundated with information in 2019 that a lot of the time our jobs as parents is simply to provide a creative outlet that gives them an incentive to turn off their tablet, laptop, PS4, XBOX, or smartphone for a little while and enjoy the self-expression that comes with building something with your own two hands. STEM learning is at an all-time high in the necessity to prepare our children for the next generation of job creation that will be available when they are grown. Unfortunately, personal apathy is also on the rise and struggling against the tide of instant gratification versus true learning can be difficult if not impossible. Fortunately, there are companies such as Meccano who have stepped forward to provide that needed outlet to channel your child’s boredom into something more constructive than the latest Twitch stream. The Meccano Super Construction Set is a massive beginner’s introduction to the world of erector kits. Providing over 600 different parts, this kit also includes instructions for your child to create one of 25 different vehicles from forklifts to helicopters. It also comes with a 6-volt battery compartment that can also be built to provide power to their creations and turn them into real, working models that can spin, lift, and race. Use the provided design manual or create your own, either way, your kiddo can enjoy days of entertainment and education with this huge kit! This kit encourages STEM learning that promotes the use of Science, Technology, Engineering, and Math skills in play. Real tools are included to provide a practical, hands-on learning experience that will teach your little one how to properly utilize construction tools and instructions. Follow along with the immense design booklet to follow one of 25 different available designs that can encourage reading comprehension skills as well as direction sequencing. The builds themselves are excellent ways to develop fine motor skills for younger children as well. The sense of satisfaction from completing a model is also ideal for positively reinforcing good behavior and building self-esteem. Metal pieces, dozens of build designs, and hundreds of parts, this kit supplies all that your child could possibly need to encourage freeform creativity and get them to turn their screens off. Socket, the Green Switch, is quite the personality among toy robots. Once kids put him together, he had three distinct modes of operation. There is the 8Ball mode in which he will answer yes and no questions and say cute phrases. In the Dance phase, he will show you his moves if there is music close by. In the last mode, Socket does whatever he wants, whether it is whistling, moving about, passing gas, laughing or something else unique to his spirit. This robot does require batteries that are not included, so those must be purchased separately. He is easily operable with push button programming, so there is no need for remote controls or operation with a smartphone. A fully illustrated instruction booklet and hand tools come in the kit to make assembly easy and trouble-free. This robot will interact with another robot of the same kind if they are nearby. They can talk and dance with each other to entertain kids for hours. Programming and assembly have never been so fun as with this Meccano kit for Socket. He will teach kids how to follow directions, improve their fine motor skills, and increase their cognitive talents, all while they put him together. It is then that the real fun begins – when he comes alive! This little guy has quite a personality! Seems like a real lively guy that likes to laugh, dance, whistle, and joke around. It is astonishing that it comes from a robot that you put together yourself. Not every child is suited for erector sets as they require a large amount of reading comprehension and spatial recognition in order to be enjoyable. If your child excels at mechanical and building activities and has grown bored with plain old Legos, then the Meccano Erector, Ducati Monster 1200 S building kit may be the perfect next step. This set includes almost 300 pieces that, when assembled, build a replica of a Ducati Monster 1200 S motorcycle. Metal and plastic pieces come together using real tools to provide a realistic building experience for the little engineer in your life. Builds such as the Ducati require a certain level of resilience and persistence on the part of you and your child as the complex directions will require time and patience to sort out but this can provide your son or daughter with a feeling of true accomplishment once the model is finally completed. Fine motor skills are developed and tuned through the use of the small parts and tools required to build this kit. Your child will also receive important lessons on how skipping steps in order to get instant gratification can not only backfire but actually force them to stop and start over in order to complete the model. Patience and resilience can be encouraged while still providing an enjoyable way to use their creativity. The included instruction manual can also bolster reading comprehension skills as well as direction sequencing at an age-appropriate level. Whether your kiddo is a motorcycle enthusiast in training or just ready to grow beyond their LEGOS, this kit is a great way to bring a little piece of STEM promoting action to their life. If your little one has shown an above average inclination towards the mechanical, the 2 in 1 Stunt Plane Model Building Kit by Meccano will provide the next level of difficulty above and beyond Legos that can help encourage and foster your young engineer. This kit includes over 70 different parts and tools as well as instructions to build 1 of 2 unique stunt plane models. This model is designed to provide an age-appropriate challenge to your child, so some reading skills and patience are required. This kit can also be helpful in providing an outlet for special needs or autistic children who may have the artistic and mechanical skills needed to create but struggle with attention span or mobility issues. This kit allows your little builder to get a hands-on learning experience as they work with real metal pieces such as nuts, bolts, and wheels using the included tools. Hands-on building activities such as erector sets are an ideal way to develop hand-eye coordination as well as develop fine motor skills in young children. The complex instructions encourage reading comprehension and sequencing. Designed to stimulate your child’s interest in STEM-based teachings, this model kit can introduce the major principles of science, technology, engineering, and math in an engaging way that also develops their persistence and resilience. This kit can provide your little one with hours of enjoyable creativity without the use of screens or technology and give them an authentic sense of accomplishment once the plane is complete. This simplistic Meccano set is the perfect way to introduce your child to the wonders of a STEM-based model building, without having to spend a lot of money on a large kit. Roadsters are great cars to build and drive, so this is a terrific model set to do just that. From the instruction booklet, kids should start out with one of the designs in print to get the feel of the parts and how they go together. After a few of these, ideas will begin to form for creations of their own. Tools are included to put everything in place, and the pieces are made of real metal. The wheels are genuine wheels also. This is just one of the twenty-five models of roadsters that the company produces, so if your kids like this one, then a few of the others would be a welcomed toy for a possible collection. Kids learn basic STEM principles by working with and putting into place the over 443 parts to form perfect roadsters. The doors really open and close, plus to make the cars jet forward, a pull on the handle is all it takes. Children can invent their own cars with this set or make any one of the five suggested models in the instructions. Their imaginations can wild thinking up new combinations for the many parts. Most of these Meccano sets only makes one model type. This one gives kids the option to take it apart time and time again to recreate different cars. This customizable robot is the 2016 winner of the Innovative Toy of the Year Award. It comes with over 1,000 phrases and voice recognition, so you truly can personalize your pal. This kit allows your child to build their own robot, which they can then program themselves, and play with! It’s fully operational, 4 feet tall, and features life-like articulated limbs powered by 10 motors, so the movement is hyper-realistic. Simply assemble your robot, download the free app from Google Play or the Apple Store, and start your set up! Your robot can learn to mimic your movements, can be controlled via the app in a ragdoll function, and will recognize your voice when responding to more than 100 pre-programmed commands. It can remember names, birthdays, fun facts, jokes, and knows how to start a conversation. With 1,188 total parts, you can build and rebuild your robot as any number of creatures or designs! This personalized robot teaches children the basic concepts of mechanical engineering as well as computer engineering and programming. The robot has lots of fun functions kids can activate via programming and the app. The construction component also helps enhance hand-eye coordination and motor skills. How neat is it to build your own dancing robot? This little guy can be built and rebuilt in several different designs, and has a few fun party tricks up his sleeve! Program him to dance, or to recognize and mimic your own movement by attaching a smartphone camera to his front. This is one of the smaller Meccano objects, but it certainly is not little on personality or action. Once constructed, this toy dances, jokes, and makes sounds. There are also activities and games built into the item. It has several modes such as a fighting level, DJ mode, and an 8Ball form. This toy can be programmed and control with a computer and batteries are required for it to operate. There are 127 pieces in total, plus a USB cable, micromodule, instructions, and tools. This model can interact with two other toys in the same Code line. They are ZAPP and A.C.E. Your child can collect them all to see them perform together and join in the fun as they joke and dance. Most construction sets have just one task and that is putting the pieces together. Meccano sets require assembly, programming, and interacting with the moving toy for maximum excitement. Once assembled, this toy can interact with two other models in the same Code line. That adds value to this model, plus makes kids want to collect the others and do a wonderful job in putting it together. Meccano has just about every type of motor vehicle covered with at least one of their construction model sets. This one is all aerial mediums. Twenty-five various ideas are included in the instructions so children can build and rebuild the many types of transportation. A 6V electrical motor is included, so batteries are not required to operate the toy. There are a hook and rotary body for the crane, making it fully operational. With the more than 406 parts, kids can make objects such as a buggy, crane, and a helicopter. Included tools and instruction booklet will help your child create all of the combinations that he or she can think of when they become familiar with all of the pieces in this assortment of parts. Kids can take these toys apart once they build something. Many different things can be assembled, even creations that they think of on their own. Aerial models with real working parts are great for kids to build and operate. With 25 different objects to create, the fun seems endless. Erector sets can provide days of relaxing and engaging fun for children of all ages but more often than not the smallest mechanics get left behind by the complex directions and metal parts included in traditional building sets. The Meccano Erector Junior Advanced Toolbox breaks through that skill level wall by providing an all-plastic alternative specifically designed for 4 to 5-year-old children. This set allows your little engineer to create up to 8 different models from windmills to dump trucks. The parts are easy for little fingers to assemble and disassemble and the instruction guide provides designs in an easy to understand, an age-appropriate format that includes full-color illustrations to help early or pre-readers. Each model moves and functions without the need for batteries and can easily be torn down and stored in the included storage case. This kit is an ideal introduction to bring the world of building to your favorite mechanic. This kit features snap-on connectors that provide an easier building experience for preschoolers. Connecting the pieces can help strengthen hand-eye coordination and fine motor skills. The design manual bolsters reading comprehension and encourages problem-solving skills while also stimulating your child’s creativity and imagination. STEM-based learning kits provide an increased education benefit to younger children as they are still developing cognitively and can encourage an interest in science or engineering as they grow. Bring your littlest engineers to the table with this building kit specifically designed for pre-school and kindergarten age children. The Meccano Micronoid is a mini programmable robot. This kit comes with everything you’ll need to build and program your own 7.1 x 11 x 6.7”-inch robot. It connects to your computer and is equipped with tons of fun, interactive features. Micronoid A.C.E. DJs like a pro. Groove to his tunes, or power him up for fighting mode! Change the mood by switching him to eight-ball mode. The build time is an hour or less, most suitable for children ages 8 and older. This robot is comprised of 118 total parts, with a motorized micro-module. It has built-in games and sound effects, and when paired with another Micronoid robot, they interact! With built-in beat detection, this robot starts dancing as soon as the bass drops. Let’s see your best moves! This Micronoid robot teaches kids how to build with basic mechanical engineering and programming set at a novice level. The fact that A.C.E. loves to dance may even get little ones up and moving too! This Micronoid robot loves to DJ and dance! It’s perfect for kids interested in STEM toys who also love a good beat. The build is easy with some adult supervision, and the robot is compact and pretty cute. We love that Micronoids interact with each other when they’re in the same space. Meccano toys are easy enough to be completely organized, assembled, and operated by the average 8-year-old child. Of course, they will be much easier for older kids, but 8 is the minimum age to understand the instructions and follow them precisely to complete the projects. The exception to this statement is #9 on this list-–the Junior Advanced Toolbox 8 Model. This kit can be put together and enjoyed by kids 5 and older. For the other kits, younger kids can enjoy and possibly operate the toys after completion, but they will have trouble putting them together by themselves. These are great family activities that parents can do with small kids, watching that they do not put any small parts in their mouths. Most of the pieces of these assortments are very small and would choke a child if swallowed. The authentic Meccano name is on every construction set we feature here. 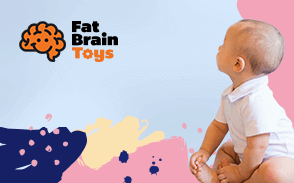 Parents know when they purchase these collections that the quality is good and they can trust the value of the toy. Collectors want to be ensured that the items they have are indeed Meccano products, as there are other very similar items on the market. The others may look just like a Meccano kit but without the Meccano name on the box, it is just another construction toy. Each item comes with all pieces and tools (except batteries) kids need to assemble and enjoy the product. All motors, modules, LED lights, tools, and instructions are included with all of the other smaller parts to fully assemble these toys. Kids must first sort out the pieces and match them to the parts inventory in the instruction booklet. Once they become familiar with the pieces, they can then start to assemble them. Batteries are required to operate the toys, but they do not come with the sets for operation. Some may have test batteries inside to test the toy, but they are not for the prolonged operation of the item. Nothing extra is needed besides the batteries. Kids will not need paint, glue, or other tools to enjoy these Meccano toys. Each set exercises the skills of imagination, cognitive abilities, hand-eye coordination, problem-solving, fine-motor talents, and abilities to read and follow directions well. Construction kits test the mental and physical skills of children and push them to the limits of understanding these advanced toys. Most of the pieces are small if not tiny and fine-motor abilities and dexterity of the fingers is needed to accomplish the tasks required. This is one of the reasons that the tools are included in the toy. Kids have the precise instruments they need to perform the intricate steps. Comprehending and executing the tasks takes great cognitive skills and the ability to understand the directions and carry them through to the finished product. Sometimes children may have to look at several steps in advance in order to see how the step they are doing fits into the pattern of assembly. This takes foresight and creative thinking to do well. Q: Are there any tools required to put these models together? Are batteries required and/or supplied? A: No tools are required for these toys because the tools come with the kits. Yes, batteries are required but not supplied. Q: What is the most appropriate age that these toys are suited for? Are they equally well-suited for boys and girls? A: Most children under the age of 8 would enjoy having a fully assembled toy and can interact with them, as long as someone older puts them together. The many pieces and intricate instructions make small kids not good candidates for assembly. However, kids 8 and older should be able to understand the instructions and put the pieces together correctly. Boys or girls are equally suited for these toys. It just depends on their individual interests in toys. Q: Are these Meccano toys hard to put together, program, and operate? A: This greatly depends on the skill level of the individual, but basically no, they are not difficult to assemble, program, and operate. Kids 8 and older should be able to do these tasks with the help of the instruction booklets that come with the package. Q: If some of the pieces are missing in one of these kits, can individual pieces be ordered separately to finish the toy? A: Based on the reviews and questions posted, no individual pieces may not be ordered separately, even if they are simply left out of the purchase. Q: Do these toys need any additional parts to finish them or paint to decorate them? A: No, everything that is needed to finish each model comes with the kit. Q: Are these models just for one child to put together or can several children do this together well? A: They are made particularly for one child to put them together, but more than one child or other family members and friends would definitely be a big help in getting the model completed. Everyone wants to see the finished product move and interact with people, so the more the merrier. Q: Are all of these toys controlled with a smartphone or electronic device? Do any of them use a regular remote-control mechanism? A: The ones that we feature on this page are all controlled by a smart device, except Green Switch, which has a push button control system. None of them use regular remote-control systems. Q: Can any of these models be used for more than one item? In other words, do they make more than one toy? A: Yes, a few of them do such as the Junior Advanced Toolbox set. These can be taken apart many times and rebuilt into different things with the same included parts.